While there are many potentially healthy shaping influences for a Christians spiritual growth, one of the greatest shaping influences neglected by many Christians today is the Christian calendar. A 2016 survey done by LifeWay Research reveals that fewer than three in ten American evangelicals observe Lent 28 percent. Even 40 percent of Roman Catholics surveyed said they did not observe Lent. This general neglect of observing the Christian calendar is lamentable. God desires that His people be ... See More conformed to the image of Christ Rom. 8:29 and not to that of the world Rom. 12:2. How we mark and fill our time is a significant shaping influence that can aid us in this process of growth in Christlikeness. Many Christians today order their lives in basically the same way our pagan neighbors do. They work five or six days a week, take a break on Sunday maybe, plan a yearly vacation, and then observe the standard national holidays. At a glance, there is nothing notably different about this routine from the routine of our unbelieving neighbors. But as Christians, should we not mark our time differently? Should not our approach to our schedule reflect our commitment to Jesus Christ above all else? Keeping the church calendar year after year can bring the story of redemption into our time and space and can serve as another helpful means of speaking to our whole person. 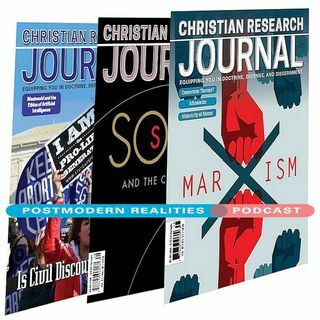 This Postmodern Realities episode is a conversation with JOURNAL author Josh Moore about his online exclusive CHRISTIAN RESEARCH JOURNAL Viewpoint article Why Christians Should Observe the Christian Calendar.